With the holidays quickly approaching, many of us are looking forward to the endless shopping, decorating and gathering of friends and family. But there are some who look at this time of year with dread. They are dealing with loss—be it the death of a loved one, or even a job—and facing the holidays alone. 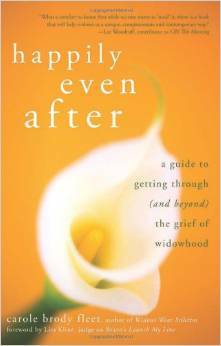 Grief recovery expert Carole Brody Fleet is a good friend of TWE and me. I first met and interviewed her on TWE Radio after she published the breakthrough book Widows Wear Stilettos, her personal story of losing her husband right before the holidays in 2000. Her follow-up, Happily Even After, won the Books for a Better Life award. She has another book and other exciting projects ready to launch in the new year. She works tirelessly, reaching out to those who need support, because she understands. She’s been there. With people close to me experiencing tremendous loss this year, I hoped Carole could share her own story and guidance. In this interview, we discuss what it means to be single at the holidays, how to cope with loss and loneliness and what tools can help you face the future with determination, not dread. For more information, visit Carole’s website Widows Wear Stilettos.